What to Do When You Find Termites in Your Property? Identifying termite infestation will not only helps preventing damage, but also enables you to spot and kill the pesky creatures before they turn out to be a great problem. Whether you are a landlord, homeowner or a property manager, you should inspect the property regularly or have a professional come to your home to treat it with preventive products. But, how will you identify the pest infestation? Well, here are some tell-tale signs of termite infestation that you should look for. The most common sign of a termite infestation is the mud tunnel. Termites love privacy, and when they can’t find a way underground, they build mud tunnels to go about their business. You may notice these mud tunnels from your walls, concrete foundation, backyard’s patio and other wooden structures around your home. If you spot dried, scattered wings around your doors, windows, air vents or other openings into your home, it is quite a common sign of a termite infestation. The problem is that the shed wings signify reproduction, meaning that the termite family is about to get larger. A termite colony will swarm if the current home is not big enough for the population. They move out and look for a better place to raise their family. If you spot flying termites near light sources, this is a strong sign that your home is at risk. You should regularly check for cracks and hollows on the wooden furniture, skirting boards, floor boards and other wooden structures within your property. Remember that termites get in from underneath, so you want to keep an eye on these sure-fire signs. Termite droppings look quite like sawdust piled up around your doorstep, furniture and other wooden materials around your property. These piles are formed by the termites pushing the droppings out of their nest. If you put your ear close to the walls or any infested wood, you can hear clicking sound. This actually comes from the termites as they bang their heads against the walls of their nest. If you spot termites in your home, do not disturb them. Avoid treating them yourself with regular household fly sprays. Do not touch these critters and their workings. This is because termites have survival instincts which allow them to feel disruption and move to another spot and keep doing the damage to your house. If you have already tried to kill the termites by spraying or using any other pest control technique, don’t panic. Simply seal up their workings with a tape to prevent access of light as much as you can, but make sure that you do not disturb them anymore. Next, give our pest control team a call on 0413397270 or fill in our online contact form to organise a full termite inspection on your property. 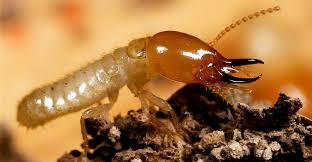 Our termite control experts will come to your home and perform a thorough termite inspection. They will inspect all the areas in and around your property that are more vulnerable to termite infestation. Once we are done with the inspection, our team will provide you with a detailed report on our findings and specify areas that are at high risk of future infestations. Based on the level of infestation, we will use the most effective termite control method that not just kills these pesky creatures in a particular area but eliminates all the colonies including the queen which could be 100 metres away from your house. We will also install termite barriers to prevent future infestation. 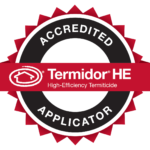 Positive Pest Solutions only uses Termidor from BASF when doing the termite treatment and we are proud to be a Termidor HE accredited installer. Our termite control process includes a follow-up service whereby we will visit your home to recheck for termites. If we find any evidence for termite activity, we will do another treatment process until the termites are completely eliminated from your property. Posted in TermitesLeave a Comment on What to Do When You Find Termites in Your Property? Common Paper Wasps are the most widespread wasp variety found in Melbourne. The life cycle of a wasp begins in the late spring when the days start to warm. The queen chooses a nest site and starts building the nest by shredding wood. When she chews the wood, her saliva turns into a wax-type material which helps to build the nest. Then, the queen wasp starts laying eggs inside these cells. The eggs will hatch and she will forage for food to feed the larvae. By midsummer, the larvae becomes adult, making the nest densely populated. In late summer and early autumn, fertile females and drones are produced. Common Paper Wasps offer some ecological benefits such as pollination, parasitism, and predation. However, wasps can give you a painful sting as it becomes very offensive particularly in autumn. 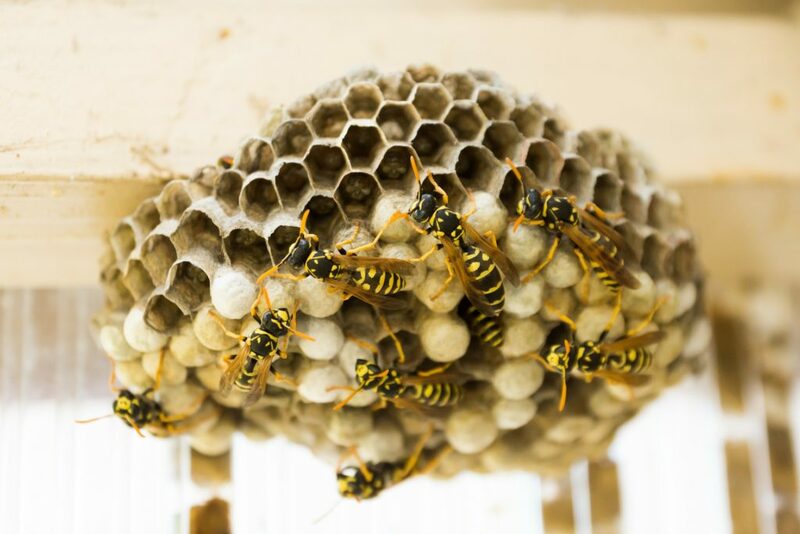 Since Common Paper Wasp nest are commonly found in a residential area, people might start to notice the increasing presence of wasps and unintentional interference to their nest is often unavoidable. They won’t tolerate any interference to their nest and many people in Melbourne get stung by wasps. Bees (especially honey bees) and wasps are often mistaken for one another. While both are capable of stinging people, there are some noticeable differences between them. One of them is wasps have a slender body that narrows along the waist area that is shiny sleek. On the other hand, bees have tiny hairs all over their bodies. The honeybee is normally passive, it will only sting when it feels attacked. They can only sting once & dies when they sting. Wasps are aggressive & they can sting multiple times. Bees are usually seen around flowers, collecting pollen and nectar Wasps are usually seen around food and drink. Knowing these differences will help to prevent unfortunate encounters with these insects. 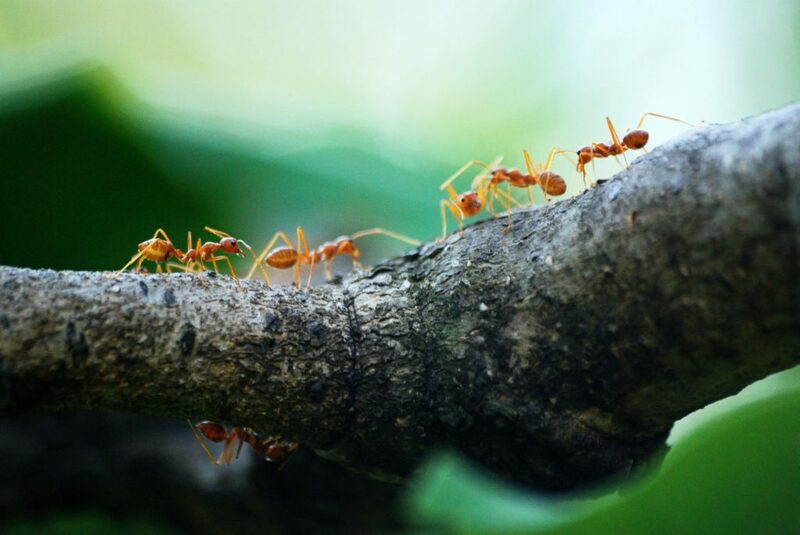 Moreover, you can find the best pest control method either to remove or to exterminate them. Where to Look for The Wasps Nests? Wasps cover up their nests within the roof spaces or wall voids of a building, making it extremely difficult to find them. You can often find wasp nests in roof spaces, bird boxes, wall cavities, under eaves, garages and shades. As wasps return to the nest to feed their queen, you can see them leaving their nest frequently throughout the day. If you follow the flight path of the swarming wasp, you can find the nest location. If the nest is in an out-of-the-way location, you can depend on the sound to find it. With a nest containing thousands of insects, you will hear buzzing sound which ensures their presence. Wasp removal is difficult, especially if you don’t have adequate knowledge of dealing with it. To successfully identify and remove wasp nests, consulting with an expert is the best thing to do. Call us at 0413397270 if you suspect wasps’ infestations or require bee nest removals.